The most important advice that came out of PodCamp Pittsburgh 4, and the most important advice you can give anyone in social media - you're interesting, but you're not that interesting. No one cares how many times you've gone to the dog groomer's in the last month, or what you had for breakfast, or, you know, the other thing. Especially the other thing. 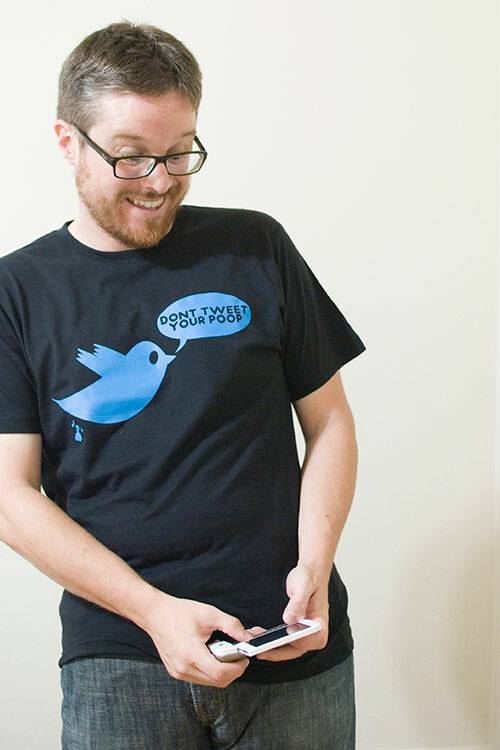 A Don't Tweet Your Poop t-shirt graciously donated to Too Many T-Shirts by Left Hand Clothing.